Striata Spotlight Insights Which day is the right day for email? As marketers, we develop strategies for the specific audience we want to reach, including how we want to speak to them and what we want to say – ultimately with the single-minded purpose of invoking a response. Where email is concerned, an additional dimension comes into play: when should you send? Are there better days to send emails and more so, what time of day will you get the best response rates? This edition of eMarketing Insight explores this subject. 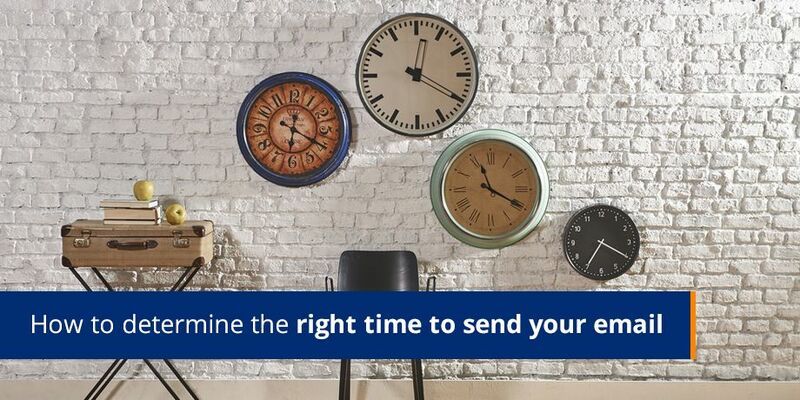 You may not believe that sending on certain days or at particular times is a make-or-break distinction in the effectiveness of your email campaign, but time-after-time, we have seen that it is no less crucial than the message itself. Why? This is because unlike traditional mail where delivery has little bearing on when it is read, the time and day of your email delivery will determine whether it is opened and read, or simply deleted. Unfortunately there are no hard-and-fast rules that one can follow to ensure better response rates, though applying some common sense might illustrate the point: news is most welcomed in the morning, rather than in the middle of the working day, and an email suggesting entertainment options will generate a better open rate closer to the weekend, than, say on a Monday when recipients are back into work mode. You can gain the best understanding of this by testing, testing, testing. The most effective means of doing this is to split test. Literally, break down your database into five parts and send one-fifth of your emails on each day of the week for a full working week until your whole database has received the email. You will quickly see which day generated the best response. If one day was markedly better than the other four, the evidence is clear. Next, having chosen the day that works best for you, stagger your distribution for that day, delivering messages at two hour intervals. An examination of the open and response rates for these emails will reveal the best time and the best day to distribute your email. The final step, with all the evidence in hand, is to ensure you hit that ideal date and time regularly. If your ideal time and day is noon on Monday, then ensure you don’t miss that deadline, as this will guarantee your optimum response.